Just like her fashion traits, Miley Cyrus Hairstyles are also a fabulous source of inspiring hair ideas for girls who like to talk loud and bold with their fashion statement. Playing and experimenting with everything that defies the ordinary realm of fashion, Miley Cyrus hairstyles have what it takes to be manipulative and expressive with a new style league on heat. Her changing looks in hairstyling not only groom her ‘style ingenuity’ but also highlight her passion to mold things to work to her advantage. We have seen this teenage star groom and brew in the most amazing and thrilling way; which off course is evident from her journey from the meek and docile young Barbie doll to the ridiculously bold and daring present day rock star look. Miley Cyrus Hairstyles are nothing but a bundle of smart and rebellious stock of hairstyle ideas for females that make clear the extreme rank which flows parallel with the transfiguring tick of the clock. Ooohhhh …No one saw that coming! 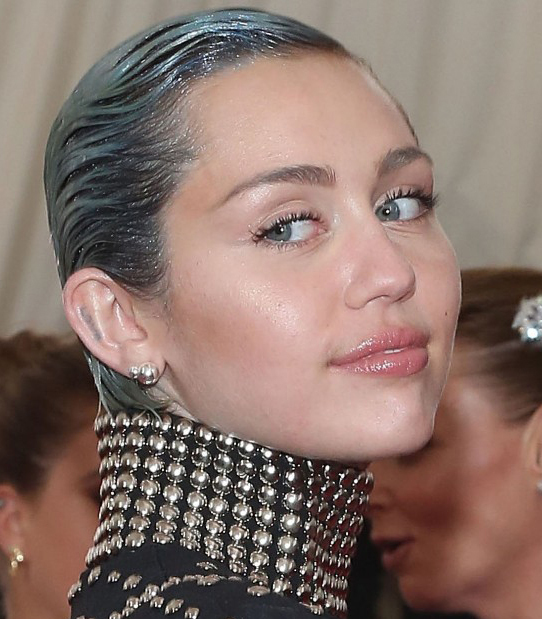 The least expected fashion stunt that went viral in celebrity news highlights, the cropped undercut designs of Miley were an insane and risky move on behalf of this young fashion talent that tagged her as one of the pioneers of the rising bold celebrity fashion trends. However; there’s a lot to see and get inspired by especially if your seeking ways to stance short hair lengths. Highlighting some of the major pull off’s from the interesting list of ‘ The top Miley Cyrus Hairstyles’; here is a rundown of contemporary branded short hair fashion looks talking fame in media. Stunning the mass and media with her audacious makeover- not to forget her ex-fiancée Liam, this was a massive turnover in her personality by leaping from a long and beautiful stock of tumbling locks to a reaped look simply not acceptable (at least then). With a side shaved undercut brushed up front, Miley snatched the media limelight with her complete ‘ shocker turnover ‘ but we do give her the credit of handling it with some of the most iconic looks yet to beat. It has been amazing to see how she effortless managed to bring about a fresh scope of variation in such short lengths. Despite her short and shaved look, what we see in the list of best Miley Cyrus Hairstyles is a play of shades to whet out a new and fresh looking edition of the same cut. 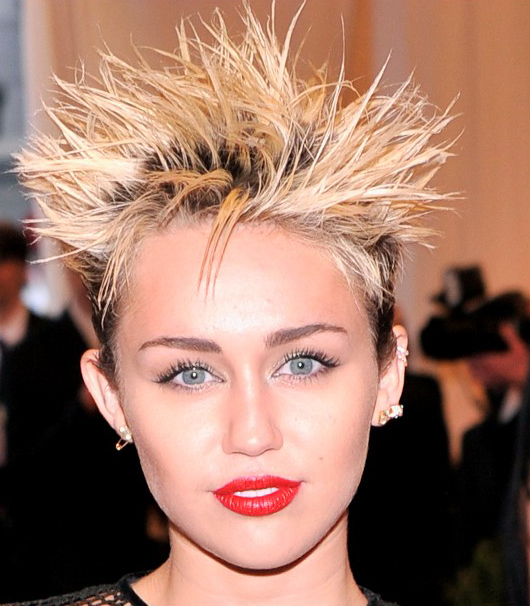 The following popular Miley Cyrus Hairstyles should be endorsements enough to shout out loud why her strayed- fashion look is so much the rage. Outgrown fierce short Miley Cyrus hairstyles too are worth commending as they seem to perk up her wild attitude even more outrageously. Short Gelled Haircuts are an additional gallery of her experimental hair trends that showcase her play of unreliable textures every time she makes a public appearance. She makes everything bold look so sensational that we would want it done for a second… just for a second! It’s always good to see those lengths grown out a bit and one of the worth mentioning latest short Miley Cyrus Hairstyles is the ideal step-cut. Nailing it with the perfect shade of blonde, she flatters up her blue eyes pretty pink makeup just perfectly. Carrying it in a semi casual manner with a dense and darker hue at the base, she gives it the best layout we’ve seen celebrities carry so far. Another look not so commonly seen with her taste in fashion, a sleek and glossy medium center parted bob cut just makes us love her even more. An added look that gives a contrast to her aggressive fashion portrait is a list of some formal celebrity updo’s that have many strong and classy designs simply a delight to get hold of. The rough messy wavy bun, the vintage buns in tangy orange-red shades and off course the new version of her grown lengths, the thespian retro curly side style. Amidst her latest feral pull off’s I must say her submissive looks are heartily missed out from her fashion scope these days. The long and medium Miley Cyrus Hairstyles despite having faded in the background at least for now; especially when the latest Miley Cyrus Hairstyles evince how she is relishing fun with her stern and jittery short lengths, we cannot ignore the preliminary trends sets of this star that appeal to the masses even today. Miley Cyrus Hairstyles have the elegance and charm of healthy tresses parading away some effortlessly rich hairstyles for girls that can come in handy for any occasion you want. From the sleek celebrity style idea to the flirtier and teasing creased waves, the changing tones of hair shades give her the magic tip to look simply gorgeous. So whether we like it or not, the league of the new Miley Cyrus hairstyles will continue to flow in and astound if not inspire the masses. Whatever the case, we simply love this fashion diva for her expressive and challenging celebrity hair fashion. 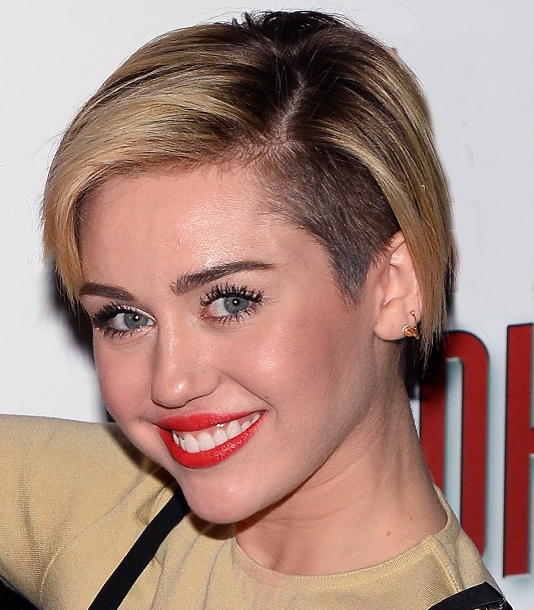 I think Miley has simply screwed her looks… she was better off with long and medium lengths. Love this icon for her exceptional beauty and boldness.